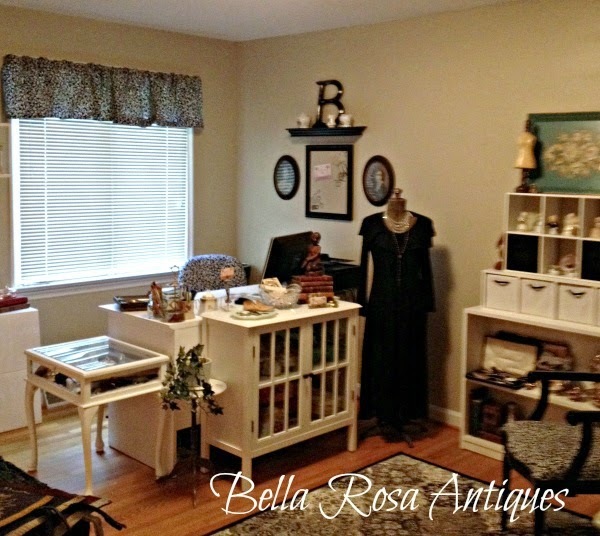 Bella Rosa Antiques: Hershey Park (Pink) Happy! Recently we took Bebe on a trip to Hershey Park. What fun it must have been for her to see something so exciting for the first time. Dear Hubby just had to play a favorite game of his to win her a prize. A pink piggy! I couldn't resist snapping this photo of her pushing it in her stroller. He's all strapped in, snug as a ..... well, as snug as a pink piggy could be! 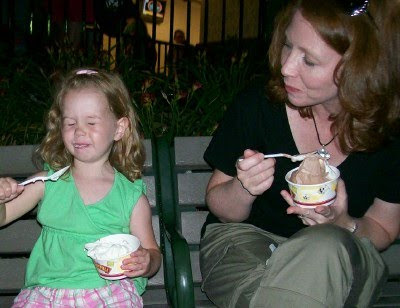 Here we are enjoying a late night ice cream. We discovered it is much better to go in the evenings! 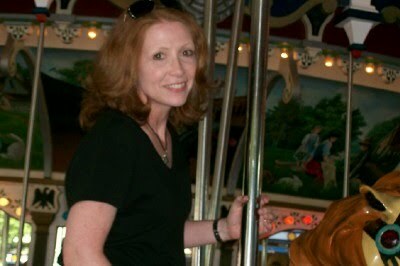 And I, of course, had to ride the old carousel. One of my favorites with a vintage organ. Makes the ride so much fun. 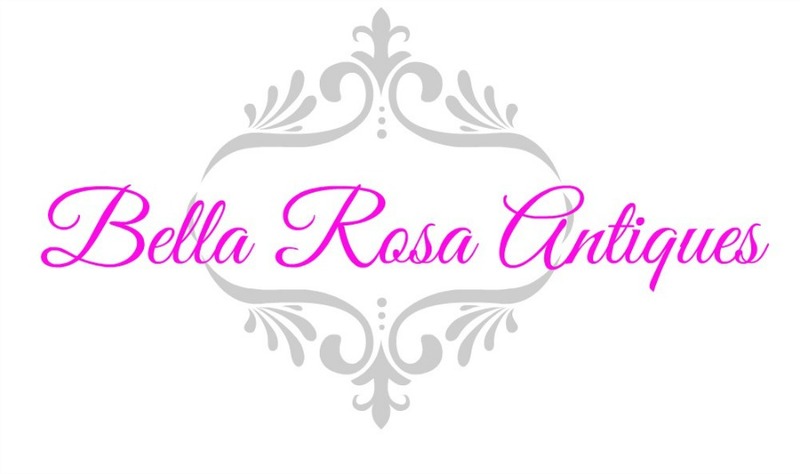 For more pink fun hop on over to How Sweet the Sound for Pink Saturday .... it's like an amusement park of pink, online! Jillian, I love Hershey & we are heading there next week with the kid-lings. Darling pics of the wee one, you look fabulous riding the carousel. The best way ever to spend a day. Now look at that gorgeous litle girl she loves that pig I am sure. How fun! Wish we had gone there. I think the school may have taken my son. 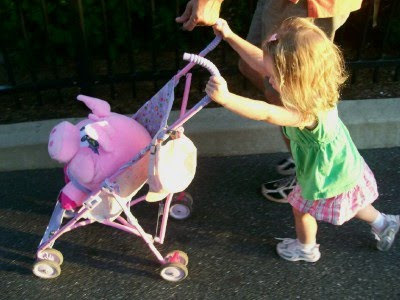 The little one pushing her pink piggie in the stroller is adorable and perfect for Pink Saturday! Thanks for sharing and for your visit. Love, love and love the pink piggie picture and little Bebe pushing the stroller. Hershey is a great place. Pink piggies are the best, but the word precious comes to mind. Hi Jillian..what a fun trip thank you for sharing with us. They outgrow the carousel so quickly! But then we re-discover it as adults with little ones! Ahhhhh.....that was such a darling photo of Bebe pushing her Pink Piggie...and, of course, of you and your Girl eating ice cream..and of you on the carousel!! What a wonderful place to visit and create special family memories!! How wonderful for you to spend time together at the park. The carousel is always a favorite of mine. You look so cute on there, and you look like you're having so much fun. That's what life is all about. Have a beautiful weekend. Jillian - The Stroller shot is priceless! We have a number of friends at church who have made the Hershey trip this past year and loved it. Chocolate and more chocolate! Love it - but lately it doesn't love me. Ah, well - trying to lose that last ten pounds anyway.